I made my first poopy today. Like all babies, my first couple poopies are nasty black tar. Daddy didn't like changing his first diaper at all. Haha Daddy I got more where that came from. Now, get over here! Daddy really loves music, so he did a big playlist for our time in the hospital. He geeks out on this type of stuff, so here are some firsts. when we left for the OR to get born Slowrunner's 'Streamlined' was playing. When I got born (it took a while to get me out) The first song I heard was 'Allegro I' from the Bach Brandenburg concerts. Then, once I was all the way out, Madonna's 'Ray of Light' was on. My first bath was taken with 16 Horsepower's 'Haw' playing. I didn't like the bath, but when I was finishing, David Garza's 'Kinder' was on. For the first time I tasted Mommy's milk, we had Coldplay's 'Trouble', Rosebud's "Changing of the Guard', and Elton John's "Tiny Dancer". I might be a dancer someday, but all the doctors say one thing I am not is tiny. Not for everyone...or is it? Here's some rough footage of the birth. We tried to keep it tasteful, but it might be a little rough for some. Enjoy! Here are some pictures from today's joyous event. More to come! mommy and daddy right before the big moment. mommy and daddy in the O.R. First Bath - Not Digging it. Cora Caldwell is a family name. 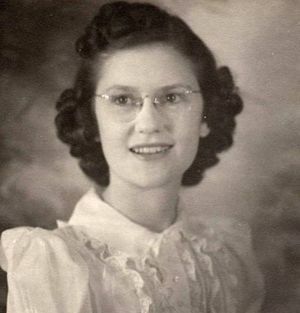 It’s the name of a person who had a very big influence on my life – my Grandmother, Cora. Cora and Floyd B Caldwell (everyone called him simply - ‘B’) were people I lived with when I was a very young child. They taught me a lot about how to be a good person, how to treat other people, and how you can be a person of faith, but still have a shred of ‘cool’. Mostly they taught me to be myself, to be happy, and to take life as it comes. Cora Caldwell was a devout Baptist, and spent her life in the service of the church. For years, Floyd would be the preacher, Cora would play the piano, and they would spread the word they believed in. Floyd passed when I was 13 or 14, but we were lucky enough to have Cora until just a few years ago. When it was clear the end was near, Cora asked us all to gather, as a family, one last time at her home in Sausalito. It took us a few weeks to pull it together, but finally we did. We had a great afternoon of stories, laughter and reminiscence. The family left, and Cora passed the next morning. Her dying wish? That we would all go to church one more time – as a family. We did. Cora and B were a huge influence on my life, and I am proud to be able to honor them. Thanks to Jen for agreeing to the name so easily. Baby girl, I hope that someday you can learn more about your great Grandmother. I know she would be proud of you.